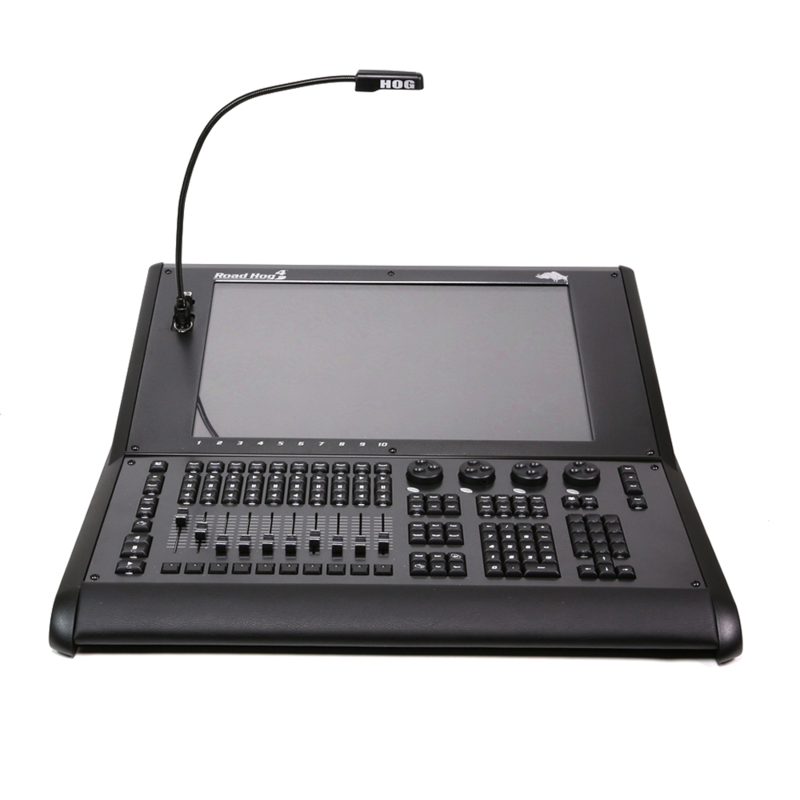 The Road Hog 4 offers a cost effective lighting control without scrimping on deliver. Programmers will benefit from the large 22-inch, high res multi-touch display providing ample space for customized screen layouts with one additional video output. The Hog 4 houses four on-board DMX universes that drive the rig, and it also has two gigabit Ethernet ports for networking. While being one of the most affordable of a generation, the Road Hog 4 will still control even the most demanding of shows. Production Hire own a state of the art High End Road Hog 4 for dry hire to support your live music event. Call or contact us for your free no obligation quote regarding High End Road Hog 4 dry hire. One of the Production Hire team will be happy to help.